In the field of abnormal psychology, too often data are collected and presented in terms of, or in relation to, some overall "theory of behavior," which they are then used to support or disprove. Although such findings are important in their own right, these data are nevertheless mainly used to support or to undermine the theory, which remains the real focus of interest throughout. An attempt has been made here to reduce this kind of bias. The aim of this book is to consider applications of the scientific principles of psychology to the field of abnormality, exemplified by selected studies involving the measurement and the manipulation of disordered behavior. Many psychologists interested in abnormal behavior have addressed their problems with methods derived from their own discipline, rather than with techniques borrowed uncritically from the medical arts. 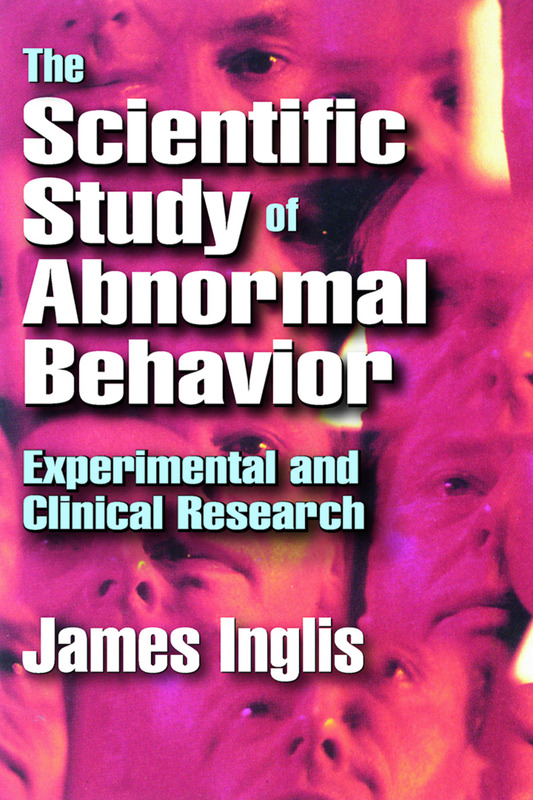 This book, through a consideration of the procedures and findings of a number of different examples of the scientific study of abnormal behavior, identifies some general principles that will show how these methods might profitably be extended to cover the whole field of behavioral disorder. Most of the material in this classic volume describes what had been achieved by the behavioral attack upon psychiatric problems at the time of its original publication. The approach is intended to assist students in assimilating the relevant information without being either swamped by, or confined to, detail. This end can be served by James Inglis' concise overview of a number of different topics, each having its tentative place within a broader scheme.